Hey Dave, just checking in. What have you been up to? 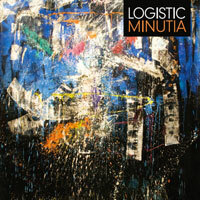 I got your new CD, Logistic Minutia, in the mail. Thanks for sending it. Your name’s missing from the cover, though. I’m surprised no one in Editorial caught that. Mom’s kind of upset. I had to do a double take, I mean a Web search just to make sure this is actually your music. Yep, it is–in all of its avant classical / rick, I mean ruck, I mean rock hybrid glory. 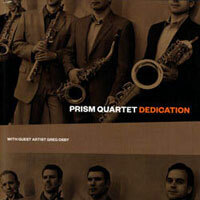 Just in case you’re unfamiliar with your own latest music, what it all adds up to is a 20-minute, four-song, short-but-sweet EP in which an electic guitar, bass and drum kit supplies a heavy groove as synths flit about, and a brass section consisting of trombones, trumpets and a French horn wax periodically melodic, woozy like a drunk floozy and occasionally more dissonant than a disrespected dentist. In a nutshell, Logistic Minutia is the perfect treadmill workout music for any robot kangaroo on a permanent Mountain Dew high. I’ll bet you didn’t know any of that that, Dave. P.S. I was just wondering, is Jeff Nelson from Minor Threat your dad? You are currently browsing the Arcane Candy weblog archives for November, 2011.